We were appointed by our client, Flip Out Stoke, to transform a former parcel distribution centre that stood redundant on a Business Park in Stone, Staffordshire. The empty warehouse was a perfect blank canvas to transform the building into an impressive new recreational facility within minutes of the local Staffordshire canal town. Time was of the essence for Flip Out. They were extremely eager to get the project started to meet with their impending opening deadline and determined budget. They required help from our team at Croft Architecture to swiftly and successfully acquire planning permission for their project to progress rapidly, ensuring project completion on budget, and on time for the business to open before Christmas 2015. The concept of Flip Out Trampoline Centres offer so much more than just a trampolining club. 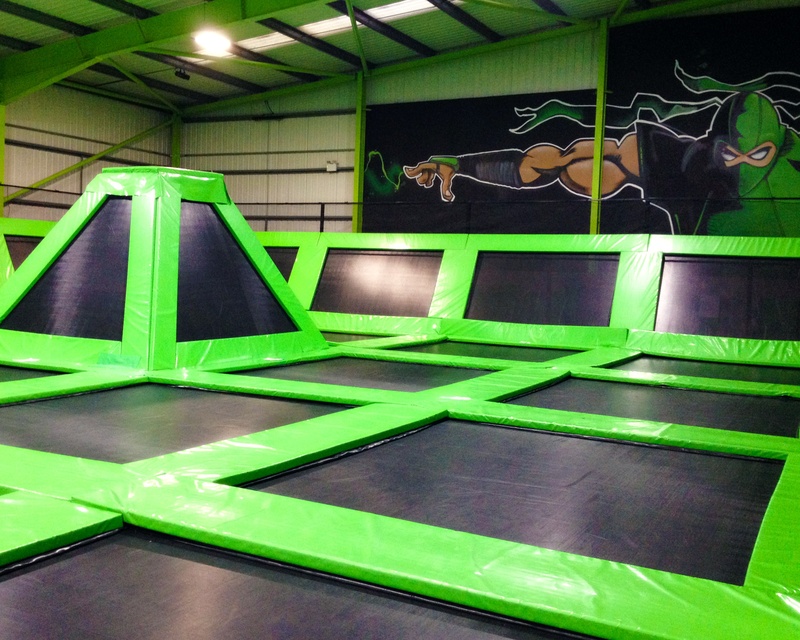 Flip Out is a leisure phenomenon from Australia which is so popular there, that the franchise has rapidly spread across the country and now Australia’s largest trampolining sensation has reached the UK. 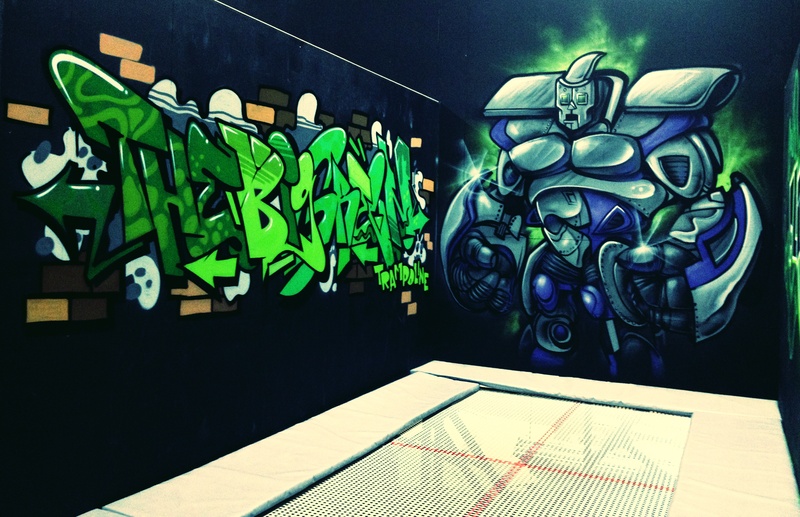 Flip Out aims to provide a unique and fun experience for all, no matter the purpose of their visit, whether they’ve arrived for a highly intensive session to improve their skills, going to a children’s party or simply sitting back and relaxing with friends in the café. There’s something for everyone, no matter their age or reason for visiting. The Flip Out experience aspires to delight all. 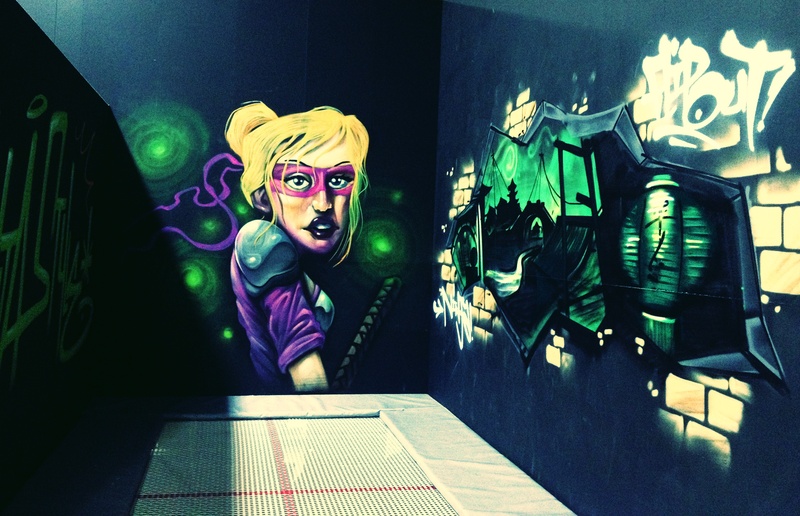 Our blog reveals more about the concept and the ethos of Flip Out. Take a look here. 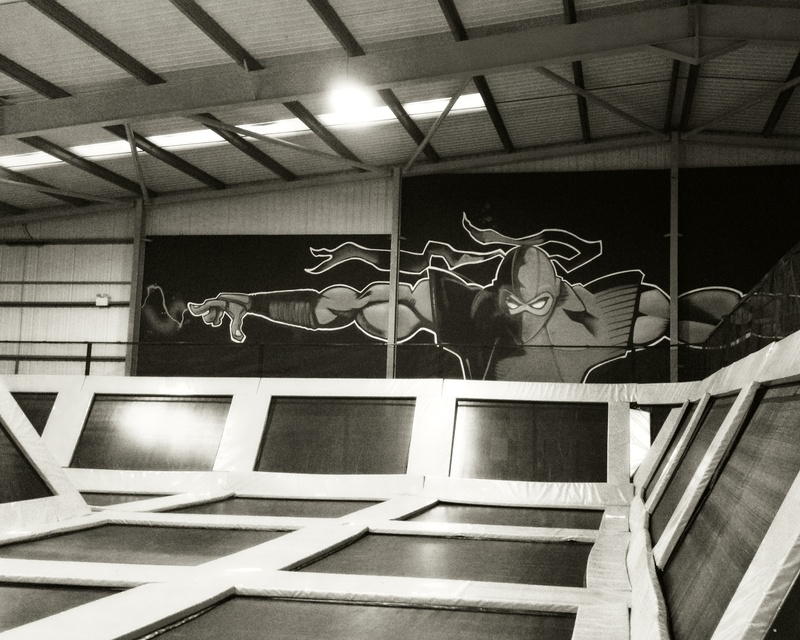 The main aim of the refurbishment for Flip Outs' Trampoline Arena was to provide essential recreational space and facilities, whilst modernising the empty existing building to create an exciting yet safe environment for health, fitness and most importantly ‘fun’. It was essential to successfully convey Flip Outs' brand & ethos throughout the conversion. Our team at Croft Architecture wanted to create a fresh modern leisure facility for the local town of Stone, establishing Flip Out as a new “Social Hub” within minutes’ walk of the town centre. It was essential to create an environment where people of all generations would be inspired to visit on a regular basis, to maintain a healthy lifestyle, whilst creating an exciting new ‘hub’ to meet, exercise and have a good time. Flip Outs' short deadline and budget for this scheme meant that time management and financial control was at the forefront our teams’ project plan and execution. A close collaboration between the client, the planners, the contractors and our team enabled us to successfully deliver a design that swiftly gained planning approval, in accordance with Flip Outs' timescales and budget. The empty parcel warehouse required an extreme transformation from the dark and dilapidated building. It was imperative for the interior to emulate the Flip Out brand style, that’s vibrant, fun and funky. Our design for arena corresponds well with the Flip Out brand creating a new modern, light and spacious environment for Flip Out. The scheme truly conveys ‘Flip Outs’ ethos’, of fun filled, high energy experiences that entertain not just children, but people of all ages, in a new engaging environment that also considers the needs of spectators too. Visitors are greeted by a radically transformed awe inspiring space, using Flip Outs' vibrant and exciting colour scheme of green and black, combined with galvanised products to produce an urban feel to the trampoline arena and colossal graffiti in keeping with the ‘Street’ style to truly convey Flip Outs' ethos of a fun filled brand-new experience. The design also overcomes the generic stereotypical apprehensions of noisy and boring play centre environments for the parents and adult visitors. 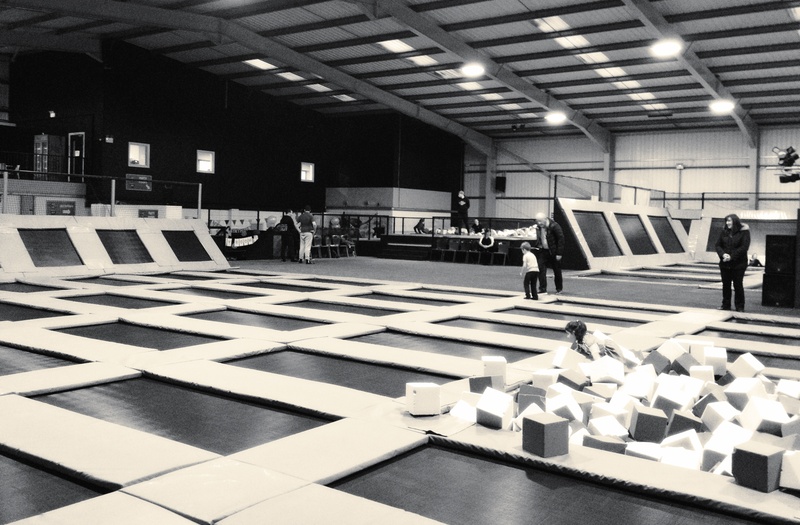 The raison d'être for Flip Out as a business was to create a facility that would not only entertain the kids but also the accompanying adults too! Therefore Flip Outs’ business concept was an important design consideration for our team at Croft Architecture. We aspired to create a specific environment tailored to the needs of parents and guardians to sit back, relax and converse in calm environment, whilst still keeping a watchful eye out to ensure the safety of their youngsters. 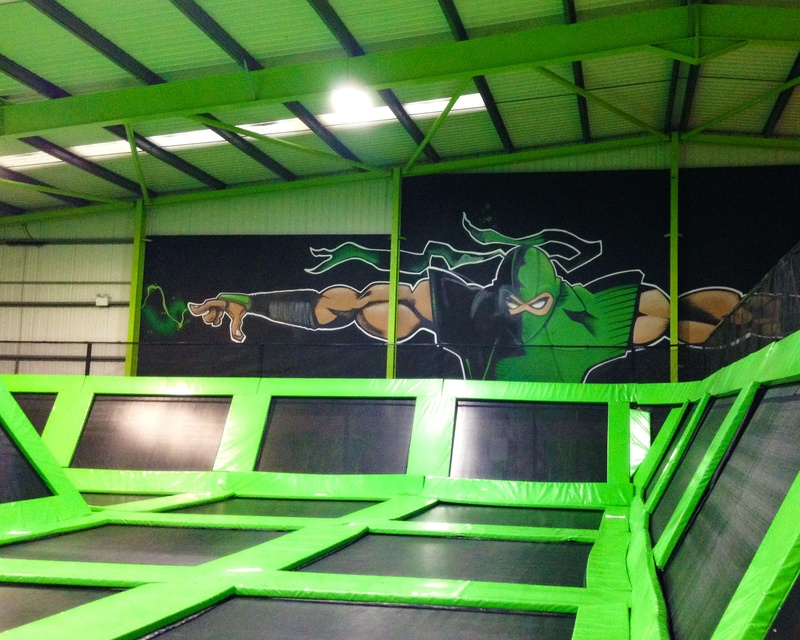 This was achieved through the formation of a new mezzanine floor that provides extra space over the ground floor facilities, creating a fantastic enclosed double height viewing area to sit back, relax and enjoy watching the thrills and spills below. The large modern indoor arena has a variety of designated zones for the wide range of activities and age groups combining play with health and fitness. A strong working relationship between our team and Flip Out enabled us to rapidly propel the project forwards within a short time frame. We’re extremely pleased to successfully deliver the completed scheme in accordance with Flip Outs' timescales and budget, so that the business could open ahead of schedule. 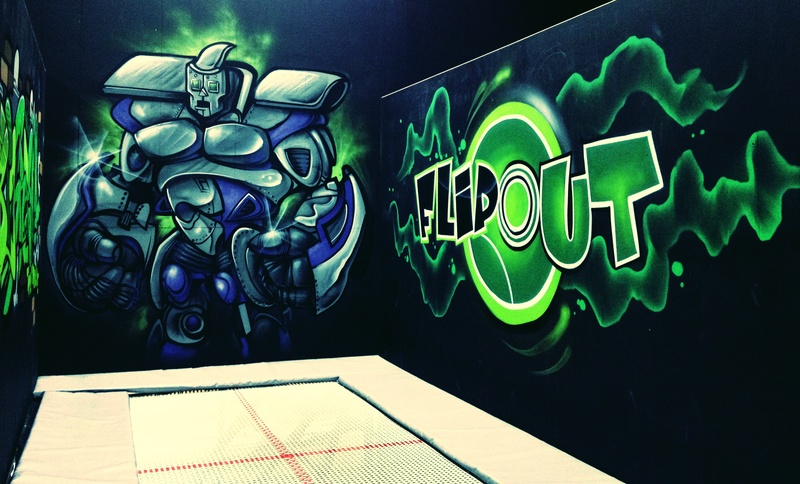 To discover more about Flip Out click here to take a look at our blog.